When submitting artwork, we highly recommend you convert your fonts to outlines before-hand to ensure it comes through correctly. If we do not have the font used in your design, we have to make substitutions which may drastically change the look of your design. If you convert all text to outlines before submitting, we will not have this problem as your text will now be converted to line art and will not require a specific font. 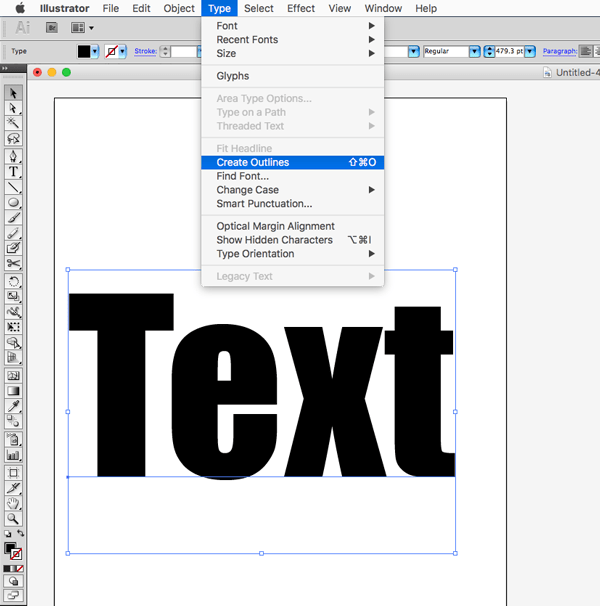 Not sure how to convert the text to outlines? Don’t worry, we laid out the very easy process below! 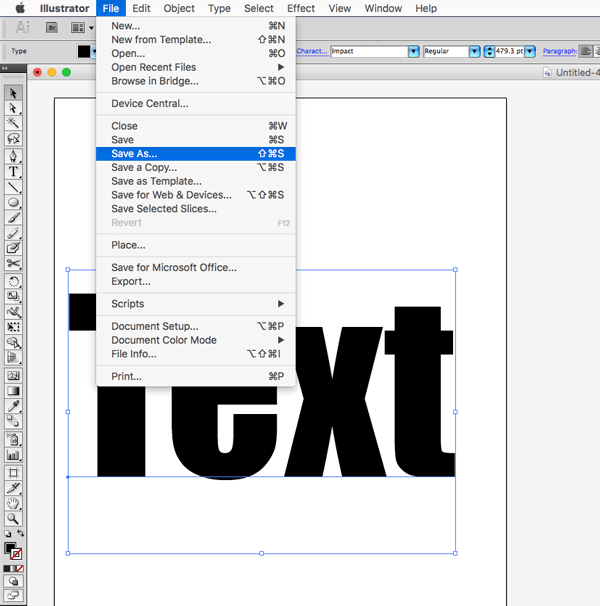 Go back to the top menu bar, click FILE > SAVE AS and save it as a new file. We recommend saving the new converted text file as a separate file so you will still have your original with the font intact just in case you need it in the future. 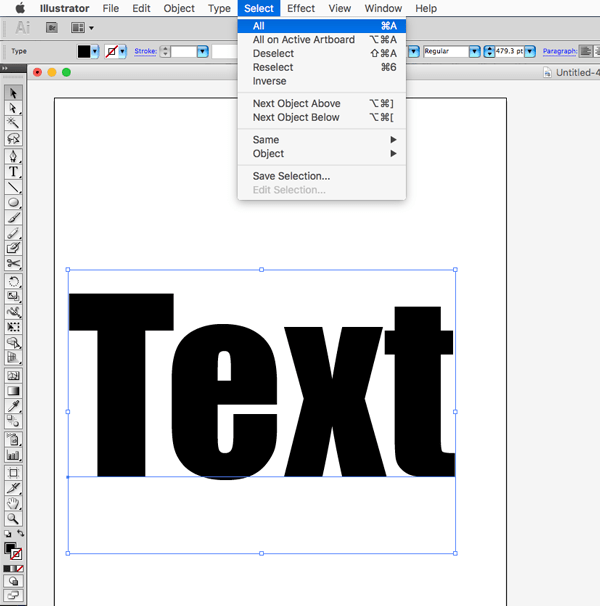 Once the text is converted to outlines, you can not change the font style without retyping. That’s it! You can now submit your files without any font issues!